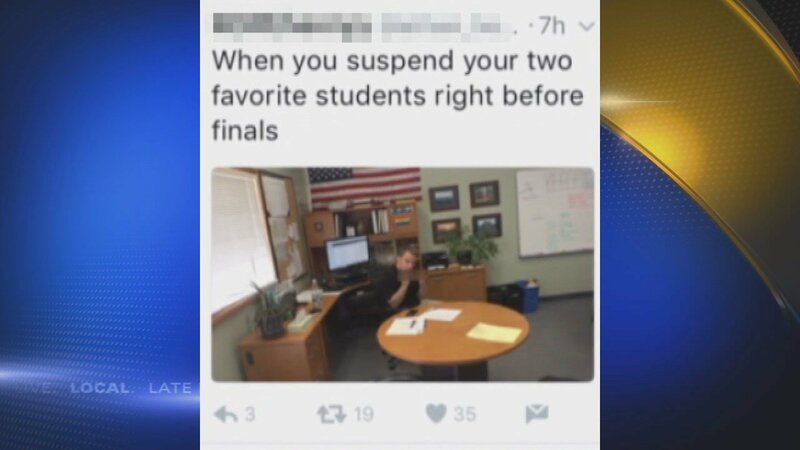 Creswell High School Principal Andy Bracco and Assistant Principal Jordan Osborn have resigned following images circulating on social media. 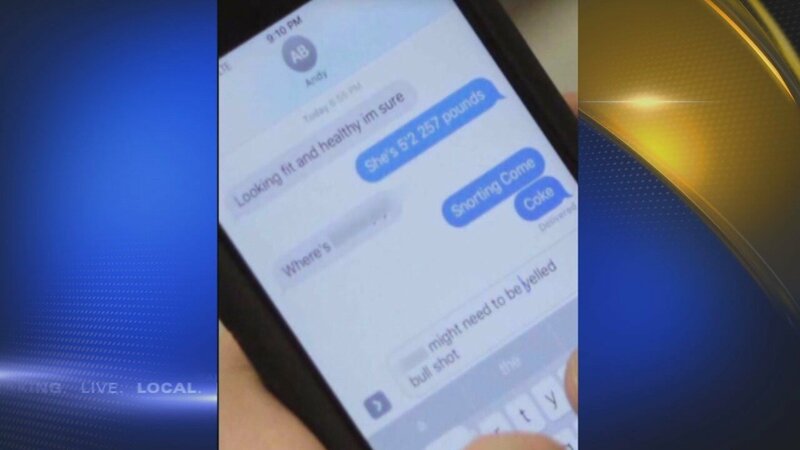 CRESWELL, Ore. -- Creswell High School Principal Andy Bracco and Assistant Principal Jordan Osborn have resigned following two photos circulating on social media. Bracco was photographed making inappropriate gestures with his middle fingers while sitting in his office. The photo was taken by Osborn. The second photo shows a text conversation ridiculing current and former students. In the message, Bracco insults a student's weight and accuses another student is using drugs. Both were placed on administrative leave and have since resigned. I have accepted the resignations of Creswell High School Principal Andy Bracco and Assistant Principal Jordan Osborn, effective immediately. Both stated to me that they love their jobs, but that they also love their students, staff and this community. They are very remorseful for their actions and realize their resignations would be best for everyone to begin the process of healing from the events of the last week. I am putting together a plan to provide administrative leadership at CHS for the remainder of the school year. In the short-term, former Creswell teacher and retired administrator Marcy Rice will step in as principal. Marcy spent many years as a highly-regarded educator in Creswell before retiring as an administrator in Bethel School District. She has deep connections in our community and has a reputation for developing strong and supportive relationships with students and staff at all levels. Also providing support will be Special Services Director David Bascue who already has valuable connections with the high school, and teacher and administrative intern Rob Jerome. We will also begin our search for new permanent academic leaders for our high school. As always, the most important people on our minds are our children. Creswell schools are filled with wonderful students who are served by devoted and caring educators. We have a supportive community which cares deeply about its students and its schools. This has been a difficult week but we are stronger when we work together. Collectively we will restore the pride and trust that our children, staff and community deserve.